Having the information is good, but being able to visualize it is better. Two additional reports are available to subscribers of Lead Coordinator. This management-level report provides information on all prospects recorded through Lead Coordinator. 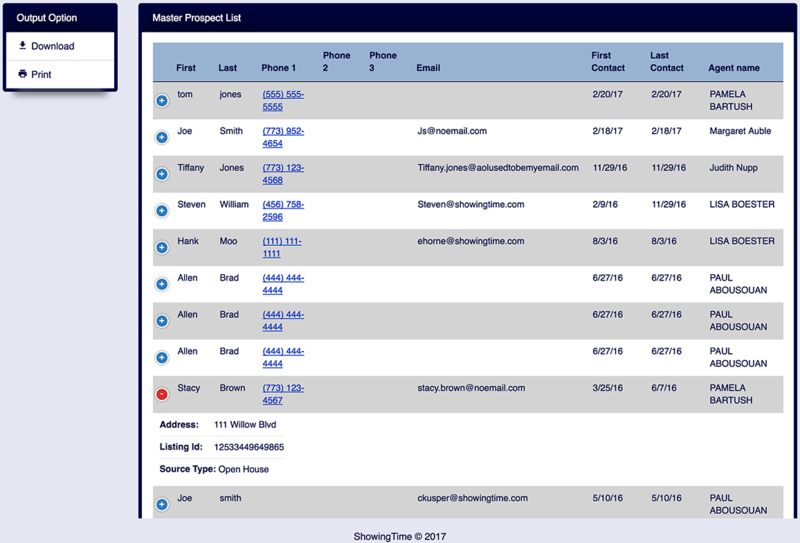 This list contains the prospect's name, contact information, dates of contact, assigned agent, associated listings and call type entered. This report will help measure your office's advertising effectiveness in terms of cost-per-ad-call and cost per prospect obtained. It also shows the total number of prospects gathered by advertisements and signs through Lead Coordinator. Both of these reports can be downloaded (as a PDF) or printed for your convenience.